Model CL01 single piece made of damask mosaic steel. 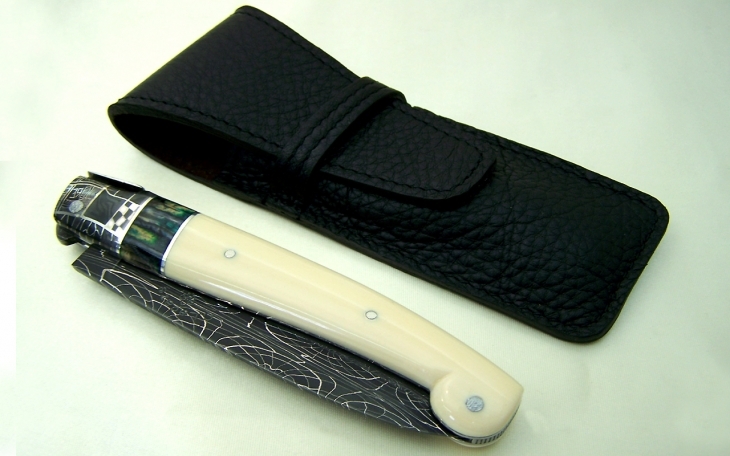 This knife is dressed in a handle shaped in ivory heart of mammoth with a silver insert and molar mammoth, its spring is decorated with holly leaves hand chiselled. The plates remain smooth, which allows to emphasize the work of embossing, the mitres are made of mosaic damask steel with the blade which is realized in an exceptional mosaic damascus steel, obtained by welding at the forge between 1100 and 1200 ° next surround the steels, which corresponds to the welding temperature of the carbon steels, and then stretched at the forge at about 800 °. 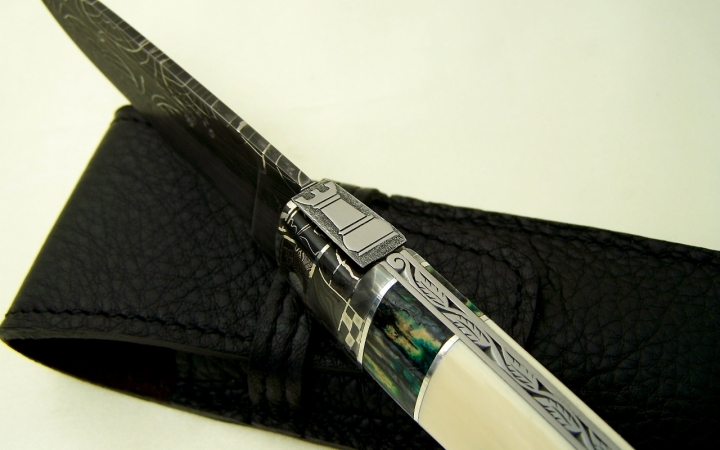 This blade is made of damascus multi bar, a mosaic damask for the top and a laminated damask for the bottom. 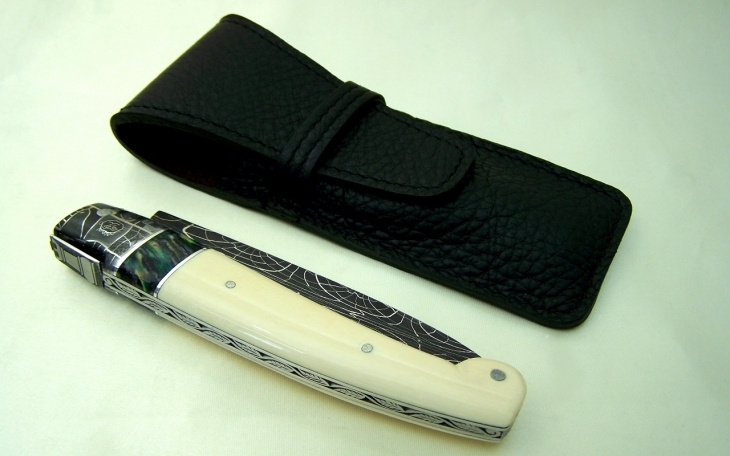 This knife whose blade is a single piece can not therefore be ordered with the same damask patterns for the blade. It is made in my workshop and signed C. Lacaze to guarantee a quality know-how.